Walker tends to get overlooked because he plays in a small market and college basketball is considerably more popular in the Carolina’s. I argue that he has some of the best handles of any NBA player today. The key to this is to have good footwork and that is what makes him a lethal scoring threat when he can step back and drain a long shot. Defenders have no option but to respect the ability to drive to the hoop and give him space. When a defender is on his heels and is going backwards, he gets you and when he plants, defenders are in a no win situation. Butler compares Walker’s game to that of Chris Paul and the ability to execute the pick and roll. Walker is more of a scorer while Paul is a facilitator, but what makes Walker stand out is his killer instinct, the ability to take a tough shot in a close game especially in a hostile road environment. An area of improvement for Walker for next season is his defense. Last year, he averaged 1.1 steals a game, which is down from his career high of 2 per game. If he can improve on his down year on defense, that alone will make him even more valuable to his team. Besides being an upcoming star, he has shown incredible maturity on and off the court. In June, he won the 2017 NBA Sportsmanship award. I’ve written about other NBA players and their ability to think on their feet as the game is going on and that is his best quality, a quality that I wish more NBA players had. His head coach Steve Clifford confirmed this when he said back in January. “Some guys get determined to score anyway. He’s never been like that. As long as he’s willing to make the right play, which is one of his strengths, then we’re good to go.” The NBA has become a super-star, super-team league, but he has proven to be a legit point guard while somewhat defying the trends of the league. He is not about himself, rather he is about the team and only if he had a better supporting cast around him would he garner more nationwide attention. His instincts are among the best of any NBA player and what is even better, he is still in his prime. He is a must see not just watching from a TV at one’s home, but when you see what he has to offer, you would be impressed. If I were an aspiring basketball player, I would look up to Kemba Walker. The season he had last year was no fluke and he is only getting better. Atlanta Hawks: Don’t Let the Door Catch Your Cape! 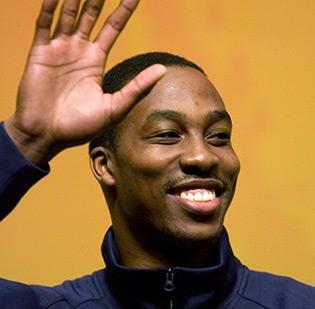 With a collective sigh of relief, Atlanta Hawks fans bid farewell to Dwight Howard this week. 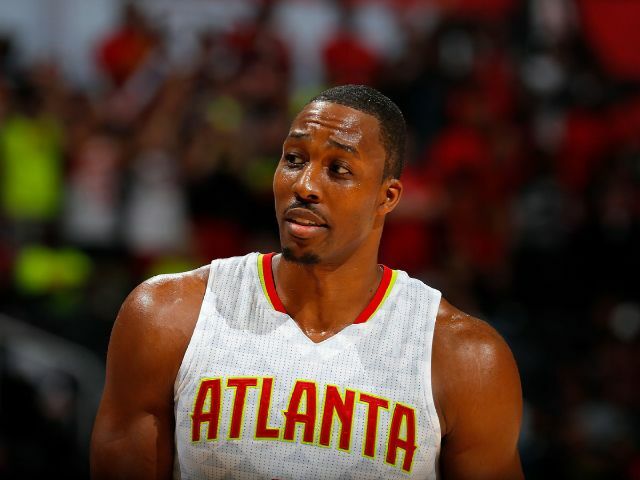 Dwight Howard was a huge disappointment this season and spent the biggest moments of the Atlanta Hawk’s miserable playoff appearance on the bench. The star center, formally known as “Superman”, also managed to make headlines after being cited for speeding, no registration, and no insurance in the wee hours of the same day as the Hawk’s playoff elimination game. In the weeks leading up to the trade, Howard, who has made 5 three pointers his entire career, claimed he was working on his three-point shooting and perimeter game this summer. 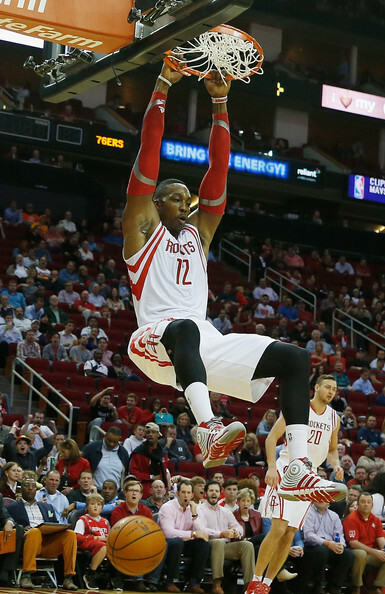 Dwight Howard is 6’11, 265 pounds and, thankfully, a Charlotte Hornet now. The Hawks sent Howard and the No. 31 overall pick in Thursday’s NBA draft to Charlotte for center Miles Plumlee, shooting guard Marco Belinelli and the 41st pick, getting the deal completed late Tuesday night. Howard signed a three-year, $70.5 million deal with Atlanta and then sat out the fourth quarter in two of six playoff games in the Hawks’ first-round loss to Washington. Howard, 31, is due to earn $23.5 million each of the next two seasons. Plumlee, 28, still has three years remaining on his contract at $12.5 million per season. Belinelli, 31, is set to earn $6.6 million in the final year of his deal. After Wizards shooting guard Bradley Beal did not get selected to the All-Star game, he has used that as motivation and has taken his game to a new level this season. In late March, Beal became the Wizards best three-point shooter in team history as he passed Gilbert Arenas’ previous single season high of 205 and in all he made 223 long balls and shot 40% from downtown in the regular season. If you look at his stats compared to previous seasons, they stand out. Another example of how Beal has taken his game to a new level is that he averaged 23 points per game this season, a career best. This breakout season comes after he signed a 5-year deal worth a whopping $130 million. Last night in a great game that ultimately sent this series to a game 7, John Wall made the final shot with 3.3 seconds remaining that won the game from behind the 3 point line. Therefore he got all the glory after Game 6. It was arguably the biggest shot in Wizards history, and was without a doubt the biggest shot of Wall’s career. But they wouldn’t have even been in that position if it had not been for Bradley Beal. Wall may have ended the game by hitting the last shot, but he started off the night 1-of-9 in the first half. 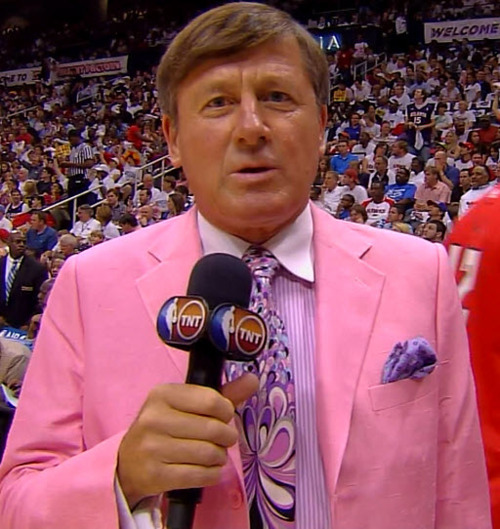 But Bradley Beal was there all game long. He had 14 points at half time, 20 headed in the fourth quarter, and ended with 33. Beal was also the one who tied the game at 89 with 14 seconds left. He truly is, the Beal deal. Atlanta Hawks Trade: What We Know So Far. It has begun. Nearly 48 hours after I mentioned it, the Hawks have made a move, but not the one we all thought they made. Kyle Korver has been traded to the Cleveland Cavaliers (granted it has not been fully completed yet) for a potential return of Mike Dunleavy, Mo Williams (who has yet to play due to leg surgery), and a potential protected pick in 2019 or 2020. It is still unclear whether the Hawks intend to keep either one of these men, or trade them again, or waive them. Atlanta already waived Ryan Kelley to make some room, but a lot still doesn’t make sense. Earlier in the week rumors surfaced that Atlanta was taking phone calls on Paul Millsap, despite a current 5 game win streak that has seen Millsap close the game in true fashion where in the month of January he’s been averaging 21 pts and 9 boards. Where i’m getting at is where exactly are the Hawks trying to put themselves at this point? Last we checked, Atlanta was building itself to challenge Cleveland not strengthen them. Korver adds shooting depth to the Cavs, and during the playoffs could see big minutes in the right situation when they need a bucket or two. 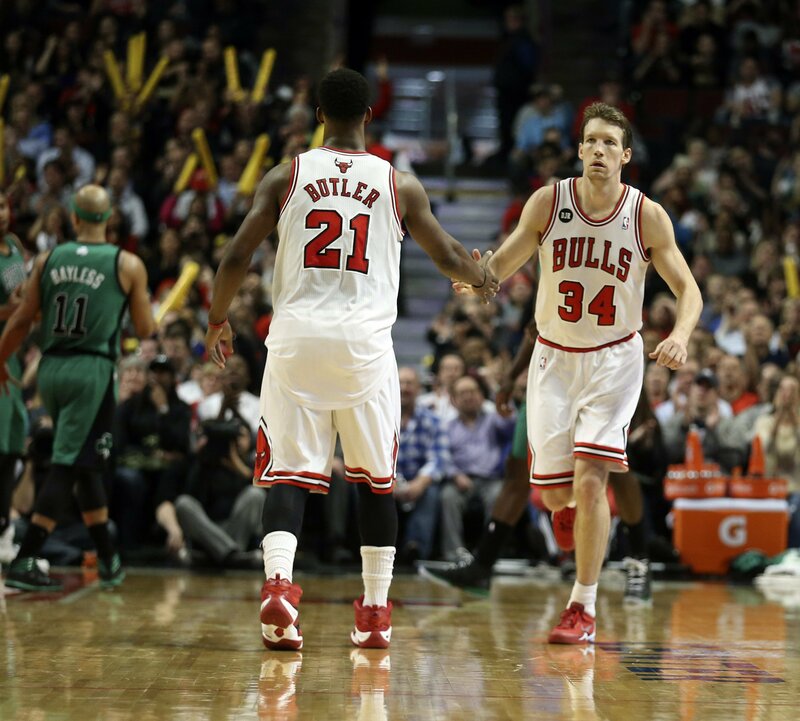 Mike Dunleavy on the other hand, hasn’t scored in the last 5 games, and has missed some time due to an ankle injury. He definitely does not provide the same production (currently) that Korver has, but given a few minutes on the floor he might get a point, or a rebound, or assist. His best playing years came when he was a Warrior and a Pacer when he was averaging double digits, but that was nearly 8 years ago. 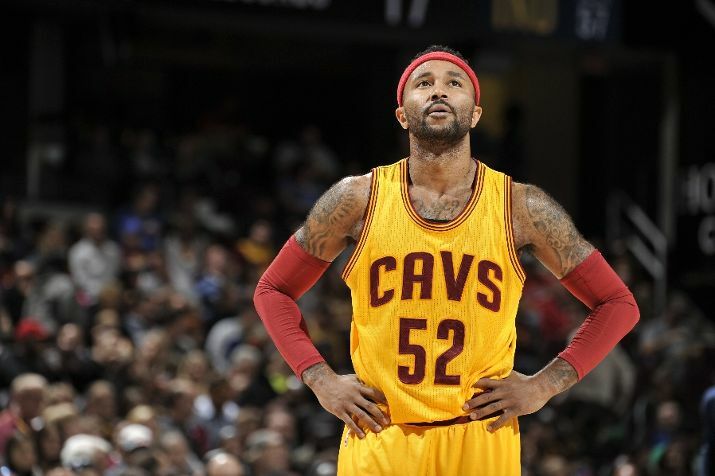 Mo Williams on the other hand, gave the world the impression he was retiring, but never inked the paperwork, and is still on the Cavs roster. He has since hinted a return, but not before enduring surgery. So it will be unclear what the Hawks organization will want to do with him. In 18 min for the Cavs last season he averaged 8 pts and 2 ast. For more on the trade of the Hawks and Cavs keep your sneakers racked at CleatGeeks.com! Welcome to the NBA 5 On 5, where we break down 5 topics buzzing around the association. -Shorter Preseason. Which means it will reduce the schedule going forward of back-to-backs and 4 games in 5 nights type deals. -Basketball Related Income will remain the same. This means everything made off ticket sales, television contracts, and etc. will remain between 49-51%. In other words whatever the league makes, the players and franchises do as well. With the new TV deal causing the salary cap to explode, of course there is no need to restructure this. -College “1 and Done” will remain n place. However, the union is trying to explore additional options like allowing High School players in the draft, but keep college players from declaring until after their sophomore season. 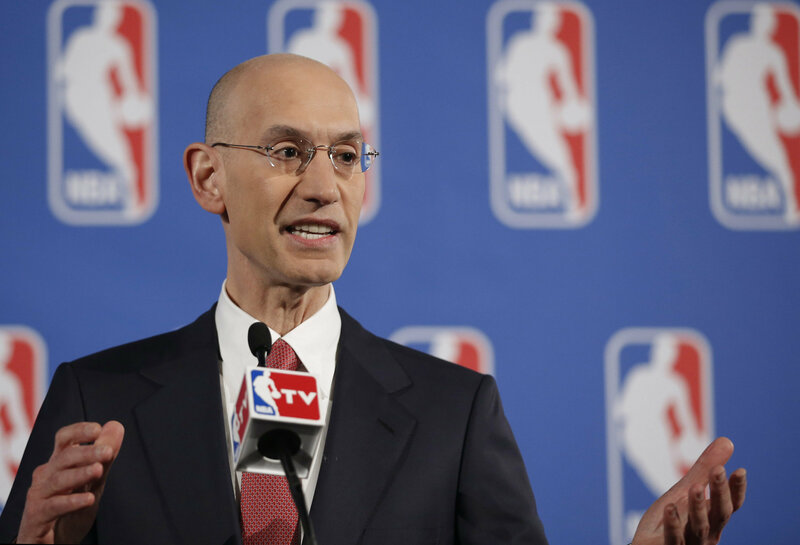 -“Two Way Deals” for players shuttling themselves between the D-League and the NBA. Teams will have an automatic roster spot for the players who are called up or recalled from the D-League, and more money will be accommodated to D-League Players. He doesn’t like it. Simply Put. If you didn’t hear, the “Big 3” for Cleveland did not even make the road trip to Memphis (and the Cavs lost by 8 by the way), and out west DeMarcus Cousins sat out against the Rockets. Now we’ve seen Greg Poppovich rest his stars in many games in the past, and at one point was fined $250,000 by the league for resting his stars during a nationally televised game back in 2012. 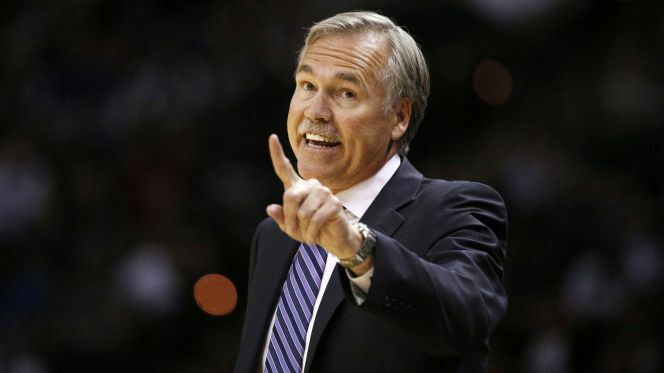 D’Antoni believes that if someone travels from afar to watch their favorite player, they should play. Now the NBA is built on entertainment yes, and the players are human, but he does have a point here. To sit the men that “oh” and “aw” the crowd is tough to do, because it affects ticket sales and revenue in the long run. Maybe 1 per game wouldn’t be so bad, instead of almost half your starting lineup. 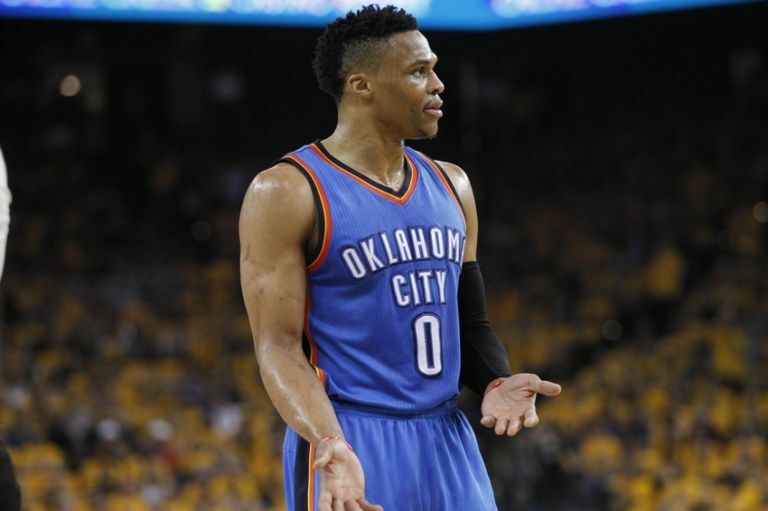 3)Russell Westbrook Says He Doesn’t Care About Numbers. 4)Atlanta Hawks Not Where They Should Be. 12-13 is extremely rough to look at. Especially given the talent this team has flashed, it’s almost pitiful to look at. After shutting the door on that 7 game losing streak, and cashing in a win streak of 2, you would hope against the league’s worst offense in the Orlando Magic they would make it 3. But no. The Magic shot 44% from 3, made the Hawks cough up the ball 15 times, and had 3 players score 20+ points. Whats the problem? Ball movement isn’t as fluid as it used to be. Now teams know the Hawks are looking for Dwight in the post, and have tightened up the passing lanes to make sure he doesn’t find him. Scoring is an issue. No Carroll, no Teague, nor Horford, and Korver isn’t shooting as well either. Don’t believe me? The Hawks are 23rd in the league in scoring. After being top 3 almost a season and a half ago. Thabo Sefolosha has been inserted into the starting lineup, and it has boosted the defense tremendously. However, these woes aren’t simple to fix, and at a quarter of the way through the season, what moves need to be made to remedy these problems? After losing Stuart Scott at the beginning of the year, we have now lost another bright spot in not only this association, but in this broadcast world. One of the most colorful, energetic, beloved reporters has left us, but not without memories that make you smile every time you think about him. Though I will be honest with all of my readers and followers, I have a hard time typing about subjects like this, so courtesy of NBAToday24 on Youtube, and TNT I have posted a moving, and hopefully inspirational tribute video below. The Grey Backed Hawk is an endangered animal. The Hawaiian Hawk is on the list as well. Granted there is nothing humorous about that, and something that should we all should be conscious of, but the Atlanta Hawks are finding themselves in that book, after having lost 7 straight games and currently sit at 10-12, 10th place in the East. After a convincing win in Indiana that saw Dwight Howard power his way for 23 pts and 20 rbs, it looked as if the Hawks finally found their stride getting off of a 4 game skid. That was November 23rd. Fast forward to December 6th. We all saw the formula ramp its way up last season when Atlanta sacrificed O for D, and was challenging teams better than before. Although this time around, points don’t seem to come as well when Paul Millsap is on the bench, or when Schroeder is not hitting jumpers, or Kent Bazemore can’t find the hoop. 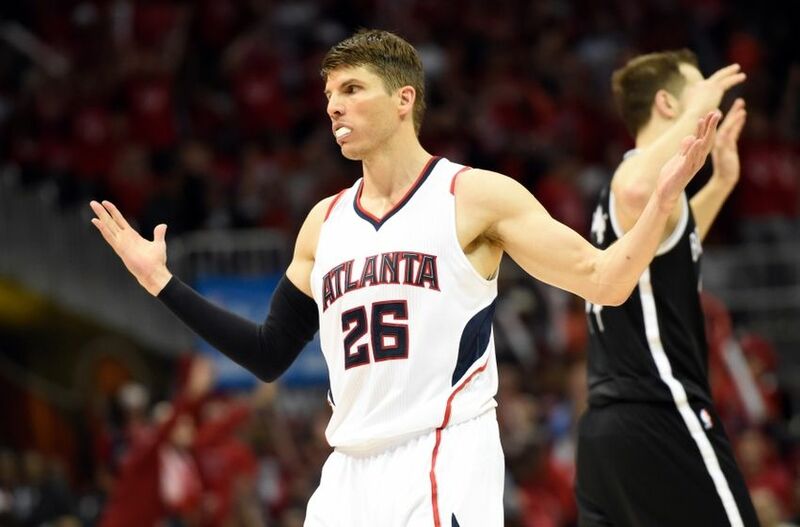 Let’s not forget about Kyle Korver who has flashed games without a reasonable stat sheet either. Speaking of D, for a team that once had the #1 best defensive efficiency rating, they sure aren’t showing it. It’s better than last place, but why is it fair to keep giving up what you aren’t even making? The team is 2nd in steals though which is fine, but can they maybe ramp it up a little to not allow 40 points in the paint? The Hawks will see 4 teams out of the next 7 games with winning records (Bucks, Raptor, Hornets, and Thunder) Seeing that the team is already 2.5 games behind Charlotte and 2nd in the Division, that game will mean a lot coming up. However this is a chance to at least go in for the kill against a few of these juggernauts even when no one else thinks you can. A win against any one of these teams could make a big difference going forward. Do you think the Hawks have a chance to climb back up in the East? Is there something going on between the team we may not know? Comment below, and for all your NBA action, keep you sneakers racked at CleatGeeks.com! 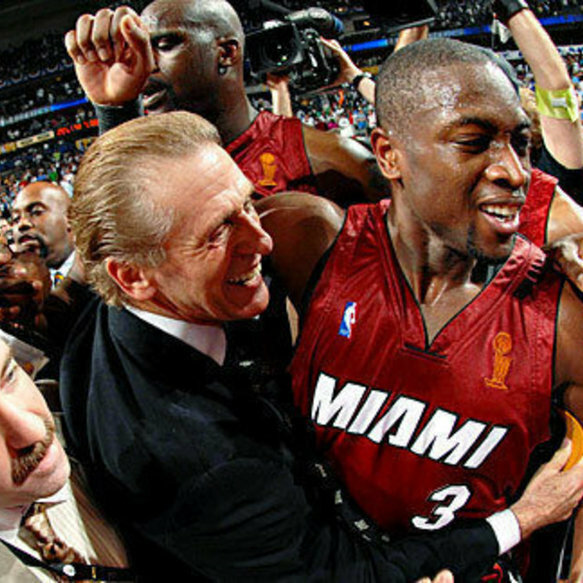 One day after 12 time all star Dwayne Wade signed with the Chicago Bulls, Pat Riley spoke to the media. Wade said last week that he had a business rift with Pat Riley, which played a role in his decision to end his 13 year career with Miami. Riley claims he was not part of the negotiation process as he needed to be if they wanted to keep Wade. Wade felt like he deserved more money, for all of the things he accomplished with the Miami Heat over the last 13 years. Atlanta Hawks: It’s Not Over Yet. 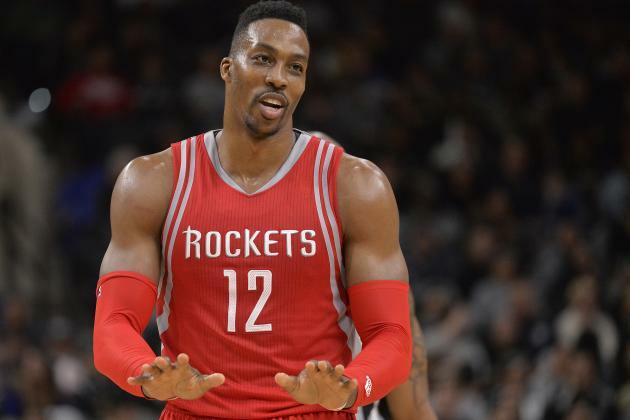 Dwight Howard is back, and on July 7 we should all rejoice as he signs his 3 year contract for 70.5 mil. However, we still have one problem. Depth. Especially at the guard position. That’s no shade on Dennis Schroeder or Tim Hardaway Jr., but looking forward there are only 2 options: either the young guys [rookies] grow under the mentorship of a vet who can run what Coach Bud needs, or they step up and immediately spit fire. Neither one is impossible, but you have to admit things feel a little shaky given the fact Jeff Teague was traded, and Shelvin Mack is no longer with us. Two vets, gone. 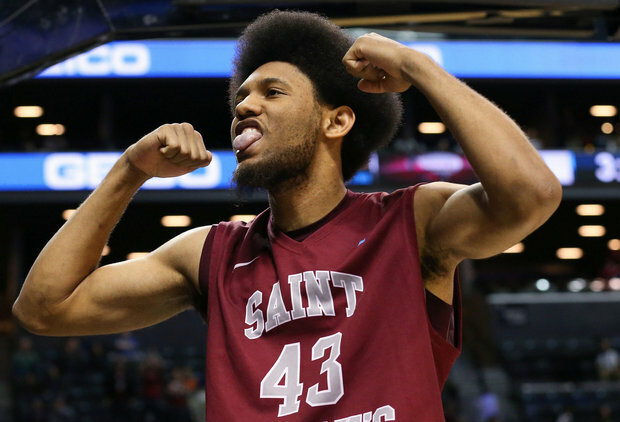 As for the draft pick SG DeAndre’ Bembry out of St. Joseph’s. Considered one of the best passers in the draft, he is versatile, can rebound, and provides vocal leadership. He doesn’t sport a gasping 3 pointer, but neither does Rajon Rondo right? (If you get what i’m getting at). Yes Shooting Guard is much different from playing point, but on a team that possibly has the opening for the job to be taken away from your 4 year vet, is it possible? Absolutely yes. He must prove it though, and last I checked, Summer League for the Hawks starts this weekend. If you understand where i’m getting at, it will take more than a scrappy Kirk Hinrich to stop a Kyrie, or Jimmy Butler, or Derrick Rose over here. With the free agent’s that haven’t signed yet, it’s time for Atlanta to put their foot down and secure someone, who without a doubt you know will provide, just in case running off of the idea of “let’s find out” doesn’t work. After 13 season with the Miami Heat and winning three NBA titles there, Dwayne Wade has informed them that he will sign with the Chicago Bulls. What did he get from the Bulls, what was he offered from other Teams?- Wade, 34, agreed to a two-year deal worth $47.5 million which includes a player option. Reportedly he is taking less money to come back to his hometown. The Denver Nuggets, who met with Wade Wednesday afternoon in New York, had offered the twelve time All-Star two years $50 million. 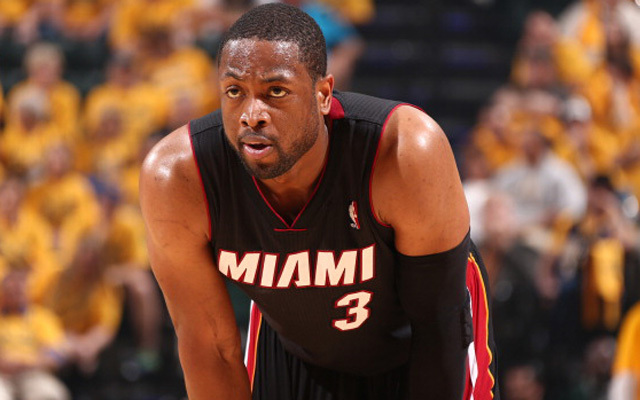 Wade also met with the Milwaukee Bucks, Denver Nuggets, and Heat owner Micky Arison. The Bulls had a meeting scheduled, but due to their flight being pushed back, they canceled the meeting. To make room for the former Finals MVP, the Bulls traded Mike Dunleavy Jr. to the Cleveland Cavaliers and the recently acquired Jose Calderon to the Los Angeles Lakers. What are the Bulls getting in Wade?- Wade averaged 19 points per contest last year to go along with 4.6 assists. The Marquette product played in 74 regular season games last year, his most since 2010-2011. His constant knee issues have kept him sidelined a lot in his career, leaving many to wonder why the Chicago Bulls wanted him so bad. John Paxson’s want for Wade since the 2003 NBA Draft has finally been fulfilled. 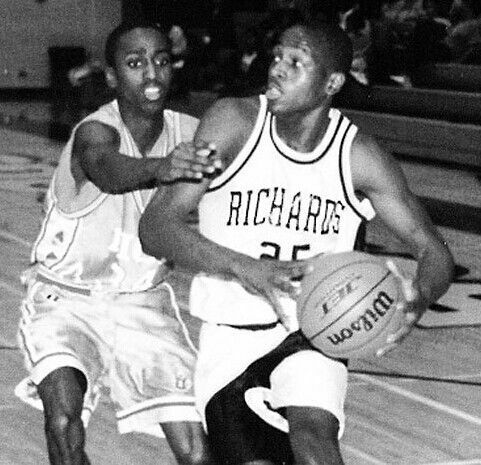 Wade is returning home to where he was born and raised- Wade attended Harold L. Richards High School in Oak Lawn, Illinois. Fighting for playing time on the varsity squad, Wade grew four inches prior to his junior year which put him over the hump. Wade went on to attended Marquette University and averaged 19.7 points in his two season with the Golden Eagles. Wade will now play with another Marquette alum in Chicago, Jimmy Butler, as they plan to be the main scorers for the Bulls next season. Before the draft, Bulls GM Gar Forman told the media that the plan this off-season is to get younger and more athletic. Well so far, the Bulls have done the opposite. The Bulls are in agreement with Rajon Rondo, 30, and now are bringing in Wade who is going to be 35 in January. There seems to be no plan in Chicago. With the possibility of Rondo’s attitude getting out of control and Wade bound to miss some time due to his aging knees, it could be a very rough time for the team and the fans. The Chicago Bulls showed they are serious about rebuilding with trading away hometown star Derrick Rose before the draft. Now, there seems to be no order in Chicago and leaves many to question the future plans of the franchise. Wade the Recruiter- While Wade’s ability on the court might be in question, he might help the team more off the court next summer. Bringing Wade home could be for recruiting purposes next summer and in years to come. Russell Westbrook, Stephan Curry, and Blake Griffin will headline the 2017 free agent class. Having a guy like Wade at free agent meeting will definitely help the Bulls as they look to have enough room to sign a max player next summer. Is this the Right Move for the Bulls?- Rondo, Wade, Butler, Taj Gibson, and Brook Lopez look to be the starting lineup for Fred Hoiberg next season. With a very young supporting cast, it’s hard to see this team having a boatload of success. The team should have stuck to Gar’s plan and focused on building for the future, not signing older veterans just to make some noise. Though Wade is a great leader and will be respected, it’s another move by the front office that leaves us questioning their intelligence. Atlanta Hawks: Can We Be Patient? The draft is in rear view, and it’s on to July 1st when Free Agency Starts. I can guarantee one thing, there is unrest after the draft for Hawks fans, as well as the coming disappointment from them should they not make the big splash on the free agent market. Now, I know what your thinking, “who can we get?” Well technically you can get anybody, it’s all just a matter of trying. 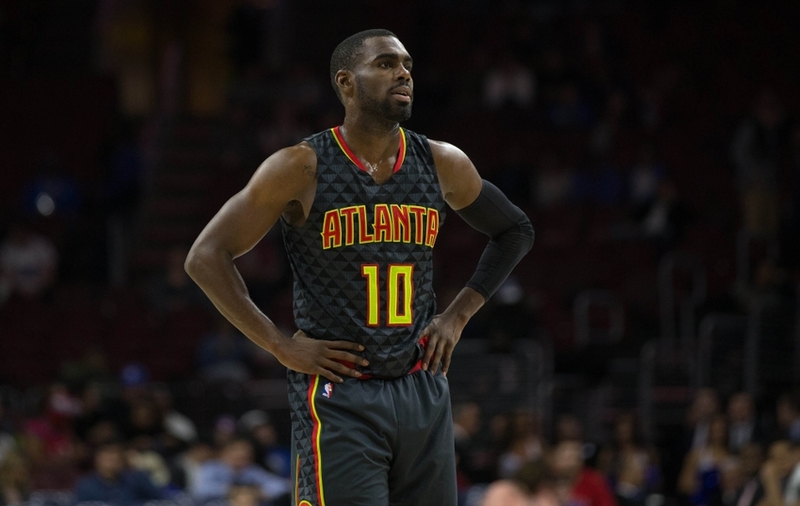 Below I’m going to outline a few players that could help the Hawks, and what it could do for them should they bring them to the city of Atlanta. Although his 3pt% is nothing to boast about, a 15 and 6 guy that can lock down his opponent on the ball is good enough for me. 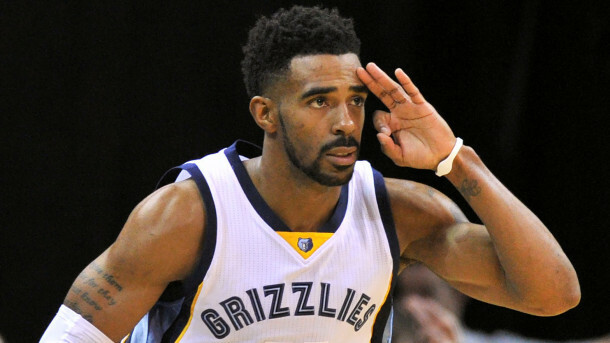 Although he was limited to 56 games last season, when Conley is on the floor, his presence is felt. When you have a Kyrie Irving, John Wall or Russell Westbrook on your scouting report, this is the guy to help you stop them. Nothing but a raise in his stats every year for the 4 year man out of of UNC. Whether you start him or bring him off the bench he will be big. Many will question what he deserves after his performance in the Finals, but any team (and that includes the Warriors) will be smart to remind him of it. 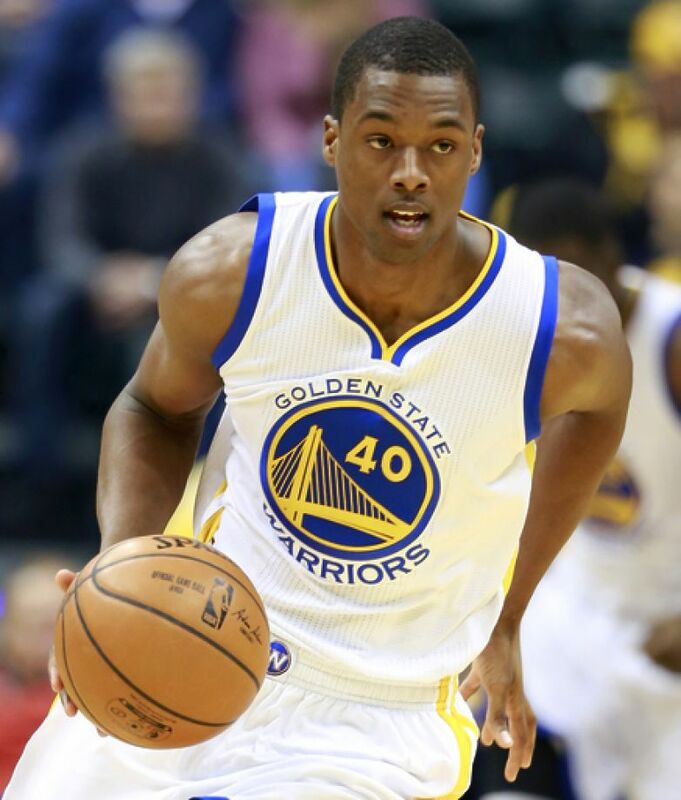 He made a little less than 4 Million in Golden State, and will see a big pay increase regardless of where he goes. With his athletic ability, and nice stroke from the inside out, the Hawks can’t go wrong if they pursue him. His maturity, his drive, his health yes all of this comes into question. One thing you can’t deny, is that if the Hawks keep Paul, and Al, and get this guy here, the inside out offensive play as well as interior defense for the Hawks will be nearly impossible to stop. 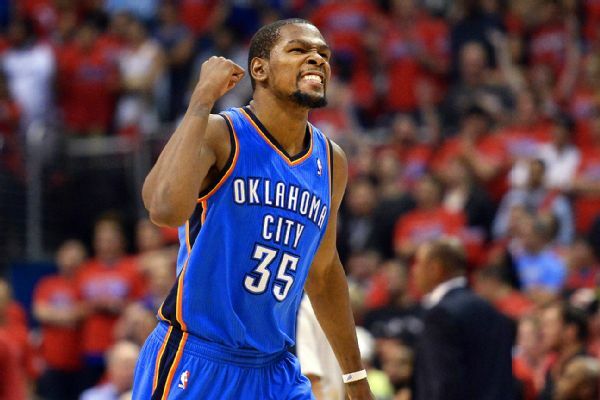 This is one of the few players left that is able to put their back to the basket and capitalize. All this being said, the Atlanta Native could also help his team attract some of the other valuable free agents to come to the city. 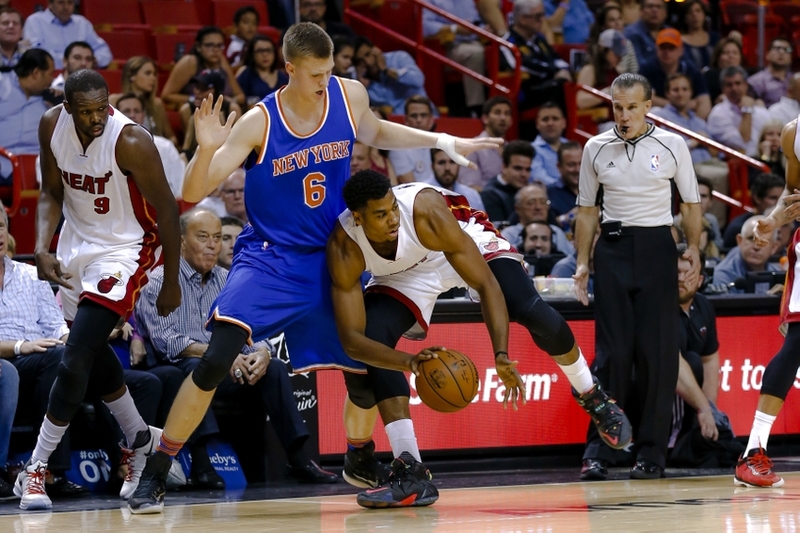 Many teams will be standing in line to talk to the “walking double-double” after his impressive season with Miami. 13 pts and 11 rbs is plenty enough to help any team, especially the Hawks in particular who had trouble over the years rebounding the basketball. The main concern with Whiteside is his motive of foul first, stop later mentality, that put Erik Spoelstra in tough positions to decide whether he wanted to keep him on the floor or not. It may sound like a tough task, but with training and experience in these situations, Whiteside will prove more than valuable on the Hawks roster, and at both ends of the floor. 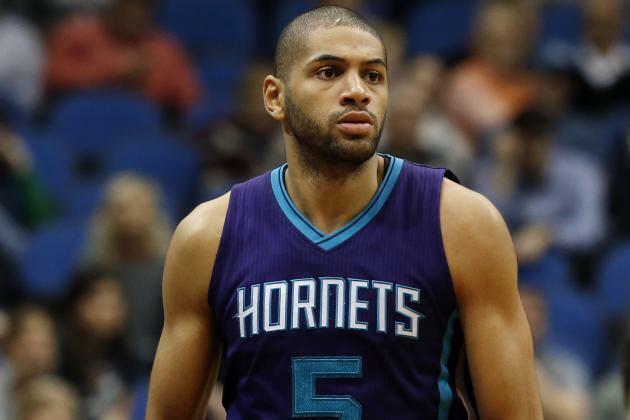 After having a bounce back season in Charlotte notching up 15 pts 6 rbs and 5 ast, Batum has long proved he’s worth every penny. The 6’8 swingman from France is athletic enough to slash and finish, while also being able to defend most points on the floor outside of the paint. He’s not the type you can force feed the ball when you need a bucket, but if you happen to find him the ball he’s set to go. The number one prize this off-season, will not be the easiest to convince, but if he does say yes it will change the shape of the entire city without question. A superstar that can play inside and out, nearly impossible to stop because of his size, ability, and athleticism, will bring the Hawks from pretender, to contender. Should the Hawks sway him, Al Horford will end up staying at center most likely, but he will not be depended on to score at the end of games. Do any of these players seem reasonable? Did I forget anyone that the Hawks have a chance to get, or should go after? Comment below!